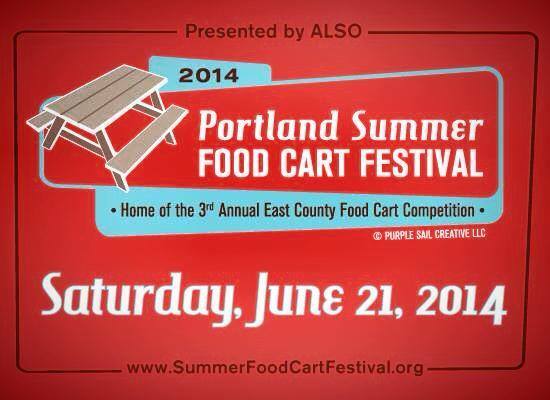 Portland Summer Food Cart Festival is in it’s 3rd year and it’s looking to be great. There will be over 20 food carts not only serving you great food, but also trying to wow the judges with some incredible creations. And you have a chance to win tickets to this event. The Food Cart Festival takes place at Mt. Hood Community College. Its great because of the easy access and loads of free parking. The festival is laid out in a big wide space so it’s easy to see all the carts and make some decisions. The admission to the Food Cart Festival goes directly to the ALSO, Adult Learning Systems of Oregon. You can purchase tickets online. This is a great organization that has a mission to promote the full inclusion of people with developmental and intellectual disabilities in the life of their community. It’s a great cause and one definitely worth supporting. Children 12 and under are free. As for the food carts, all the money they make on this day goes back directly to them. They are a small business and the event coordinators make it worth their time to come out. On this day they will be offering $5 entrees so you can try multiple places. Lots of good food from all these carts. It’s a day to support a great cause and great businesses. Some of these carts I have been to and I love. 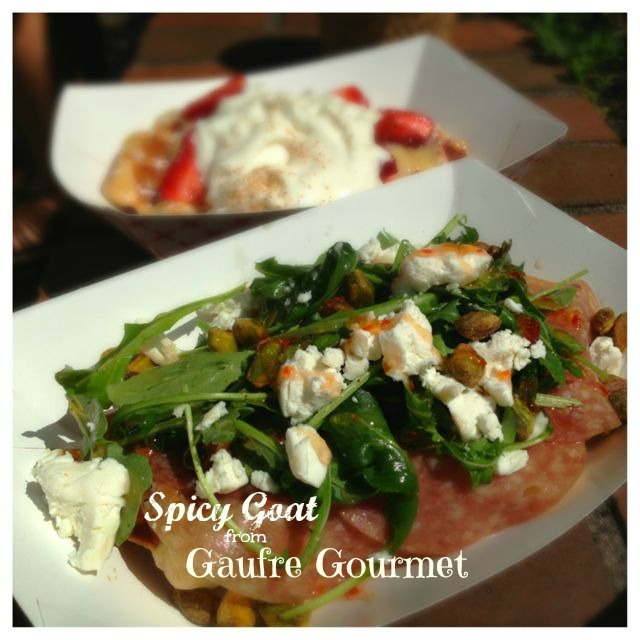 Gaufre Gourment won last year with their spicy goat, which I loved by the way. Retrolicious is a family favorite, but now that they are fully mobile we don’t get to them much, I’m sure my husband will be first in line to this one. Another one that we frequent often is The Cheese Plate PDX. 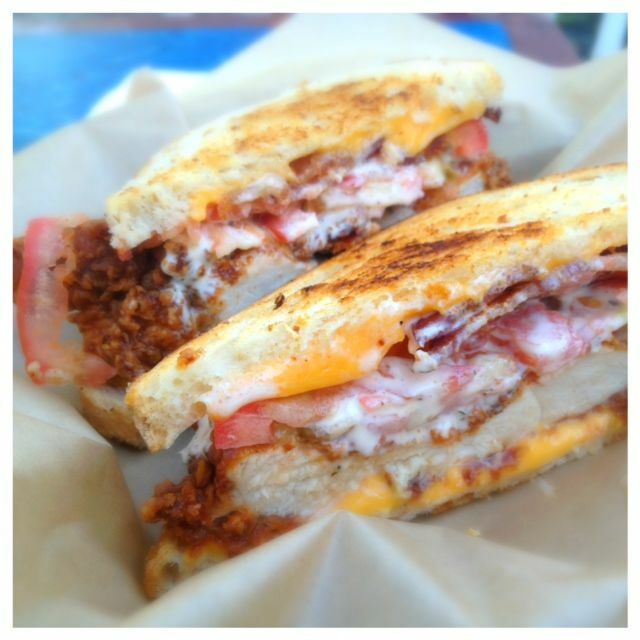 Be prepared to be wowed by a sandwich creation you wouldn’t even think of. Think grilled cheese with lavender caramels. These people never cease to amaze me. Above you will see the Oregon Cheese Lover’s Plate that you can get if you visit them at their cart on NE 23rd & Alberta. Will all the Food Carts have their carts there? Now is the time I should also tell you the difference between Portland’s Food Cart scene and the other cities Food Truck scene. In Portland most of the food carts are just that, carts. There are not trucks, you cannot drive them and therefore they are not easily moved. Some of them flat out don’t move. So what happens when these “carts” show up at a festival? Well, some of them bring tents. They are used to catering functions and that’s how they do it. Many of the successful food carts have done fundraisers and are trying to get second carts so they can bring an actual cart to these kind of events, but until they do, they bring tents. This in no way effects the quality of food you will get. This is their business, they cater this way and they do it well. I only point this out because I remember hearing people last year sound disappointed because certain “carts” were in tents. Now you know why. By heading out and supporting them you also support their dream of someday having that second cart for events such as this. Enough already, How can I win tickets to the awesome event? Head over to ALSO’s website and check out the list of carts that will be there and let me know which one you are most excited about trying. While you are there check out their site for any other questions you might have about the event. It’s all listed. This giveaway will close on Thursday at Midnight, I will randomly draw a winner to receive 2 tickets. I will announce the winner Friday morning and you can pick your tickets up on Saturday at the event. Curt Dewees is my lucky random winner. Can’t wait to see pics. Stumptown Dumplings! Never have had them before and I need to fix this situation ASAP! Looks like a great line up of food carts! Nobody should be leaving this event hungry. I sure hope you randomly pick me! I’ll report back from the event with words and pictures! I’ve been wanting to try A Cajun Life – this event looks great! I think I would like to try Da Fat Boys BBQ the most…..makes my mouth water! 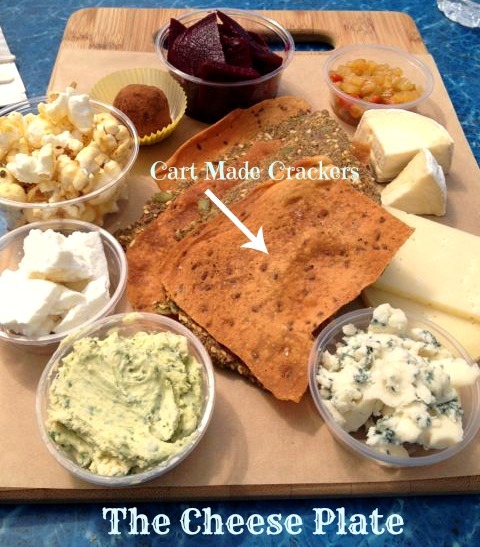 I would love to try the cheese plate!! I’m definitely looking forward to trying The Cheese Plate since reading your posts about them! I would love to try the Sugar Shop! This sounds like a fun event and PBJ’s never fails!